Hello! 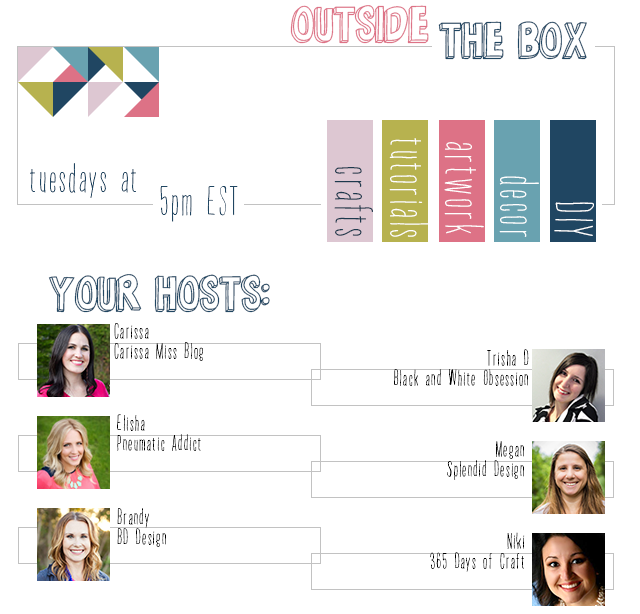 I am so excited to team up with some amazing bloggers to bring you a link party that it’s all about YOU. You get to share your projects and we get to feature YOUR creativity. Get ready for Features, Pins, and much more!!! Since this is our first week, we don't have features to show you but we will be pinning our features + Favorites to our Outside [the Box] Pinterest Board.